Duration : 6 x 26 min. 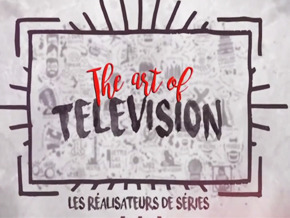 The series The Art of Television explores modern television directing and those who stand behind the camera through intimate and never-before-seen portraits. Six directors from the most iconic TV shows, such as The Sopranos, Game of Thrones, The Good Wife, Law & Order, Six Feet Under and Mad Men welcome us into their home and walk us through their carrier and work methods. They share their secret weapons and strategies to survive in a world where writers and showrunners are kings. We also meet with their close collaborators: showrunners, first assistants, directors of photography, editors, actors.